There are times when a franchisee of a business needs to move on for one reason or another. Sometimes this is due to the franchisee being unsuccessful in running the business, and other times it’s because they have been very successful and accrued profitable value in the business. More than 10,000 franchise businesses change hands every year in Australia, approximately 15% of the total franchises in the country. One of the primary questions that comes up in these situations is how to go about the sale and how to expertly sell your franchise. Should the franchisee ask the franchisor for help with the sale or should they sell it on their own? Many will ask former franchisees that have sold their own franchises, ask their accountants for advice, contact the franchisor to help them sell, or hire a business broker. All of these have merit, but there are a few things to consider when making the decision. One thing to keep in mind is that a franchisee is not autonomous. There are always franchisor requirements that need to be met with any sale of a franchise business and the franchisor is generally the final decision maker on whether any sale goes through. This is because the potential buyer has to meet all of the franchisor’s requirements to be a new franchisee, just as the current franchisee had to originally. Either way the franchisor will be involved in the sale, it’s only a question of the extent of their involvement. Two reasons that franchisor involvement is advantageous is because of their obvious knowledge about the business and their ability to sell the positives of it to potential buyers. However, the franchisors recruitment team has a significant conflict of interest here. Their goal is to grow the network and bring new franchise locations into the fold. It’s more than possible for them to try to convince the potential buyer to open a new franchise rather than buying an already existing one. The franchisee then having to go back to square one looking for a new buyer. Additionally, the franchisor has no financial incentive to help the franchisee sell the existing franchise, whereas a business broker has every incentive to help them sell they only earn a commission once a business is sold. The best advice is to sell the franchise yourself using a legally qualified broker, who can give you the best of all worlds. 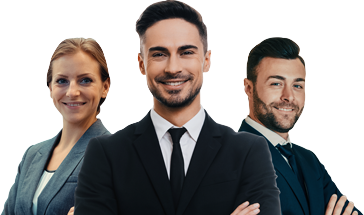 Your broker will work closely with the franchisor, as well as supply you with numerous leads consisting of people who are already looking to purchase a franchise business. Hiring a broker generally makes a sale happen much faster, and will always turn out to be the best deal for everyone involved – the seller, the buyer, and the franchisor.